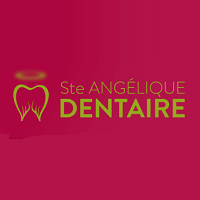 Welcome to Angélique Dentaire Our vision at Angélique Dentaire is to offer the best dental experience in a friendly, clean and relaxing environment. Dr. Diana Ponoran and her team welcome you to our new Saint-Lazare practice where we focus on exceptional care with optimal results. Our staff is highly educated and trained, and we possess state-of-the-art technology to provide preventive, restorative and aesthetic dentistry. We accept patients of all ages! Angélique Dentaire is committed to helping you have the most beautiful smile in health! We offer a full range of treatments including general and aesthetic dentistry, implants, family dentistry, Invisalign, root canal treatments, veneers, dental caries prevention and treatment, gum disease treatment, sedation.